IF FOR ANY REASON WHATSOEVER YOU SHOULD FAIL TO BE SATISFIED WITH YOUR SAGER PRODUCT, YOU MAY RETURN IT WITHIN 30 DAYS AFTER ITS ORIGINAL PURCHASE FOR A 100% REFUND OF YOUR PURCHASE PRICE ALONE. IF THE PRODUCT WAS ORIGINALLY SHIPPED UNDER A FREE SHIPPING PROMOTION, A $25 DEDUCTION WILL BE MADE FROM YOUR REFUND. SAGER WILL ALSO NOT REFUND ANY EXPEDITED PRODUCTION FEES ASSOCIATED WITH THE PRODUCT. THE PRODUCT MUST BE RETURNED IN AS-NEW CONDITION IN ORIGINAL PACKAGING AND INCLUDE ALL MANUALS, DISKETTES, POWER CABLES AND OTHER ITEMS INCLUDED WITHTHE PRODUCT. 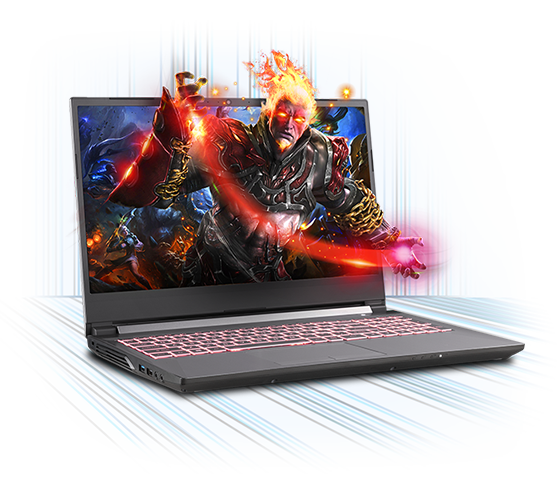 SAGER WILL NOT REFUND THE COSTS OF OPENED SOFTWARE OR DAMAGE RESULTING FROM ACCIDENT, ABUSE OR MISUSE OF THE PRODUCT, NOR WILL SAGER REFUND SHIPPING COSTS. ALL RETURNS REQUIRE USE OF A RETURNED MATERIAL AUTHORIZATION (RMA) NUMBER, WHICH MUST APPEAR ON ALL COMMUNICATION ABOUT THE RETURNED ITEM AND ON THE OUTSIDE OF THE SHIPPING PACKAGING. As used in this warranty policy, "Product" means any hardware manufactured for or by Sager bearing the "Sager" trademark, trade name, or logo that is purchased directly from Sager or a Sager Authorized Reseller. An "Original Purchaser" is any consumer that purchases and has possession of a Product directly from Sager or from a Sager Authorized Reseller. An "Authorized Reseller" is any retail store that has an agreement to purchase Products direct from Sager on an ongoing basis for resale. An "End User" is the ultimate consumer of the Product and constitutes anyone who owns and uses a Sager Product. "Date of Original Retail Purchase" is the date the Original Purchaser bought the Product from Sager or a Sager Authorized Reseller. SAGER WARRANTS this Sager hardware Product against defects in merchandise and workmanship for a period of ONE (1) YEARS from the Date of Original Retail Purchase. 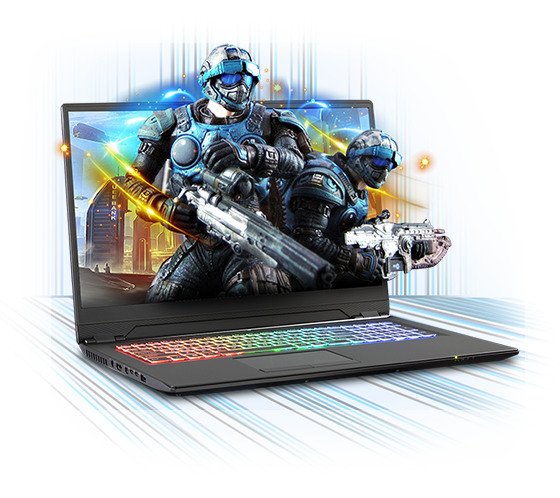 This warranty applies only to hardware Products manufactured by or for Sager that can be identified by the "Sager" trademark, trade name, or logo affixed to them. 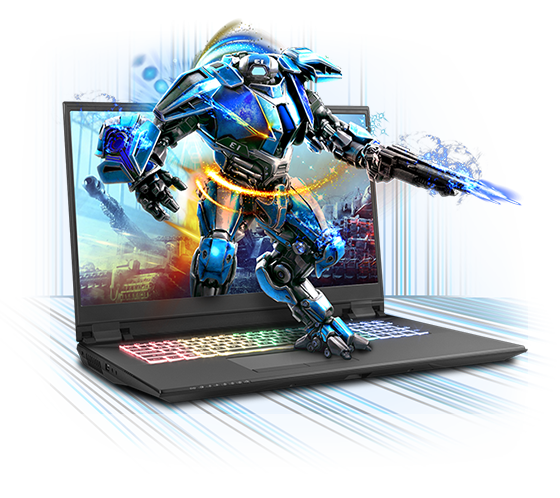 Sager provides no warranty whatsoever for any software provided with its Products; such software is warranted separately by their manufacturers. Sager does not warrant any products that are not Sager Products. 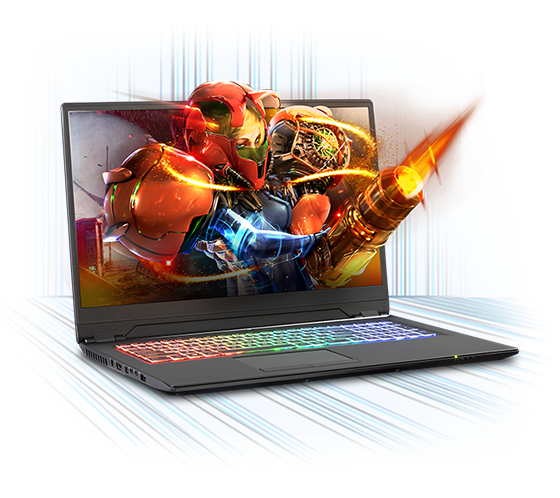 This warranty does not apply if: (1) the Product has been damaged by accident, abuse, misuse, or misapplication; (2) the Product has been modified without the written permission of Sager; or (3) if any Sager serial number has been removed or defaced. If you discover a defect, Sager will, at its option and to the extent permitted by law: (1) repair the Product (using new or refurbished replacement parts); (2) replace the Product with a product that is new or which has been manufactured from new or serviceable used parts and is at least functionally equivalent to the original product; or (3) refund the purchase price of this Product at no charge to you—provided you return it during the limited warranty period, with freight charges prepaid to the appropriate Sager repair department, and provided you obtain a Return Merchandise Authorization (RMA) number prior to shipping your defective Product. The RMA number must appear plainly on the outside of the shipping packaging. RMA numbers can be obtained by calling or writing Sager at the address and phone numbers printed on this certificate. For each Product returned for warranty service, please attach your name, address, telephone number, RMA number, and a copy of your bill of sale bearing the appropriate Sager serial numbers as proof of Date of Original Retail Purchase. 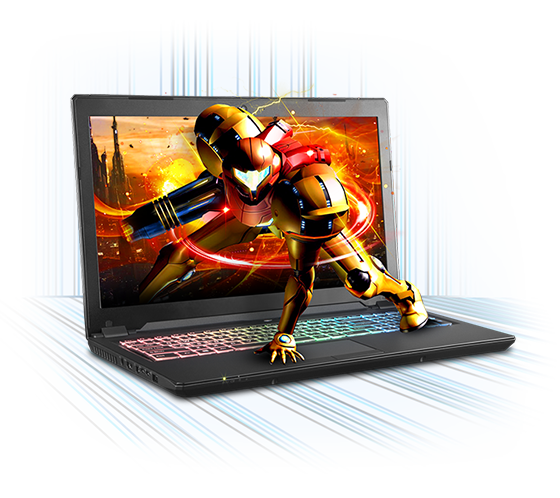 It is your responsibility to complete a backup of all existing data and programs on Sager Products prior to returning the Product to Sager for repair under this warranty. SAGER WILL HAVE NO LIABILITY FOR LOSS OR RECOVERY OF DATA OR PROGRAMS. Sager will pay for UPS ground shipping both ways for returned products. THIS APPLIES TO END USERS IN THE CONTINENTAL UNITED STATES OF AMERICA ONLY (EXCLUDING PUERTO RICO, ALASKA, HAWAII, AND U.S. POSSESSIONS AND TERRITORIES). OTHERWISE, YOU ARE RESPONSIBLE FOR SHIPPING THE PRODUCT TO OUR REPAIR FACILITY AND WE WILL SHIP THE PRODUCT BACK TO YOU FREIGHT COLLECT. SAGER IS ONLY ABLE TO PROVIDE RETURN SHIPPING TO THE END USER FOR THOSE END USERS WITH AN FPO/APO ADDRESS. SAGER RESERVES THE RIGHT TO REQUIRE REIMBURSEMENT FOR SHIPPING COSTS IF IT IS APPARENT THE PROBLEM IS NOT COVERED BY THIS LIMITED PARTS AND LABOR WARRANTY. 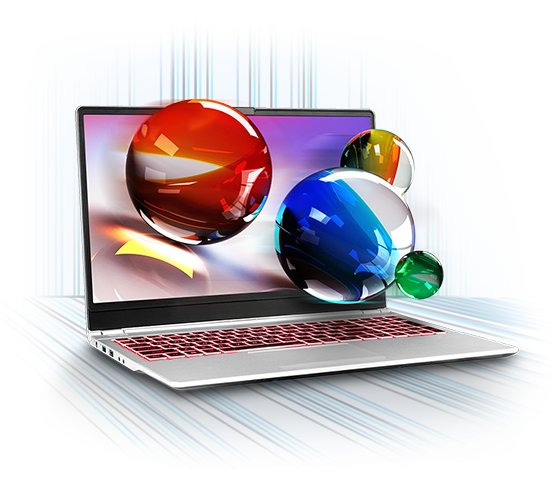 SAGER WILL PROVIDE telephone or email technical assistance to the ORIGINAL PURCHASER of a Sager Product for as long as the Original Purchaser continues to possess the Product. All "Third-Party" software and peripherals are not covered by this Lifetime Free Technical Support. They are supported by their original manufacturers. TO THE EXTENT PERMITTED BY LAW, THE WARRANTY AND REMEDIES SET FORTH ABOVE ARE EXCLUSIVE AND IN LIEU OF ALL OTHERS, WHETHER ORAL OR WRITTEN, STUATUTORY, EXPRESS, OR IMPLIED. AS PERMITTED BY APPLICABLE LAW, SAGER SPECIFICALLY DISCLAIMS ANY AND ALL STATUTORY OR IMPLIED WARRANTIES, INCLUDING, WITHOUT LIMITATION, WARRANTIES OF MERCHANTABILITY, FITNESS FOR A PARTICULAR PURPOSE AND WARRANTIES AGAINST HIDDEN OR LATENT DEFECTS. IF SAGER CANNOT LAWFULLY DISCLAIM STATUTORY OR IMPLIED WARRANTIES, THEN TO THE EXTENT PERMITTED BY LAW, ALL SUCH WARRANTIES SHALL BE LIMITED IN DURATION TO THE DURATION OF THIS EXPRESS WARRANTY AND TO REPAIR OR REPLACEMENT SERVICE AS DETERMINED BY SAGER IN ITS SOLE DISCRETION. No Sager dealer, agent or employee is authorized to make any modification, extension or addition to this warranty. If any term is held to be illegal or unenforceable, the legality or enforceability of the remaining terms shall not be affected or impaired. EXCEPT AS PROVIDED IN THIS WARRANTY AND TO THE EXTENT PERMITTED BY LAW, SAGER IS NOT RESPONSIBLE FOR DIRECT, SPECIAL, INCIDENTAL, OR CONSEQUENTIAL DAMAGES RESULTING FROM ANY BREACH OF WARRANTY, OR UNDER ANY OTHER LEGAL THEORY, INCLUDING BUT NOT LIMITED TO: LOSS OF USE; LOSS OF REVENUE; LOSS OF ACTUAL OR ANTICIPATED PROFITS (INCLUDING LOSS OF PROFITS ON CONTRACTS); LOSS OF ACTUAL MONEY; LOSS OF ANTICIPATED SAVINGS; LOSS OF BUSINESS; LOSS OF OPPORTUNITY; LOSS OF GOODWILL; LOSS OF REPUTATION; LOSS OF, DAMAGE TO OR CORRUPTION OF DATA; DOWNTIME; OR ANY INDIRECT OR CONSEQUENTIAL LOSS OR DAMAGE HOWSOEVER CAUSED INCLUDING THE REPLACEMENT OF EQUIPMENT AND PROPERTY, ANY COSTS OF RECOVERING, REPROGRAMMING, OR REPRODUCING ANY PROGRAM OR DATA STORED IN OR USED WITH SAGER PRODUCTS, AND ANY FAILURE TO MAINTAIN THE CONFIDENTIALITY OF DATA STORED ON SAGER PRODUCTS. This limited warranty policy shall be governed by and construed in accordance with the laws of the State of California. Any litigation under this agreement shall be resolved in the trial courts of Los Angeles County, State of California, which shall have exclusive jurisdiction on this matter. Note: These terms effective 12/01/2006. 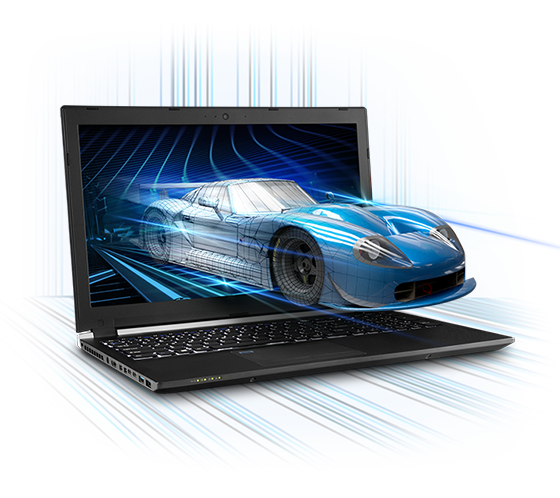 For the warranty terms for NP6650, NP6680 series notebooks, and products purchased prior to 12/01/2006 click here. "Date of Original Retail Purchase" is the date the Original Purchaser bought the Product from Sager or an Authorized Reseller. SAGER WARRANTS this Sager hardware Product against defects in merchandise and workmanship for a period of TWO (2) YEARS from the Date of Original Retail Purchase. If you discover a defect, Sager will, at its option and to the extent permitted by law: (1) repair the Product (using new or refurbished replacement parts); (2) replace the Product with a product that is new or which has been manufactured from new or serviceable used parts and is at least functionally equivalent to the original product; or (3) refund the purchase price of this Product at no charge to you—provided you return it during the limited warranty period and obtain a Return Merchandise Authorization (RMA) number prior to shipping your defective Product. The RMA number must appear plainly on the outside of the shipping packaging. RMA numbers can be obtained by calling or writing Sager at the address and phone numbers printed on this certificate. For each Product returned for warranty service, please attach your name, address, telephone number, RMA number, and a copy of your bill of sale bearing the appropriate Sager serial numbers as proof of Date of Original Retail Purchase. 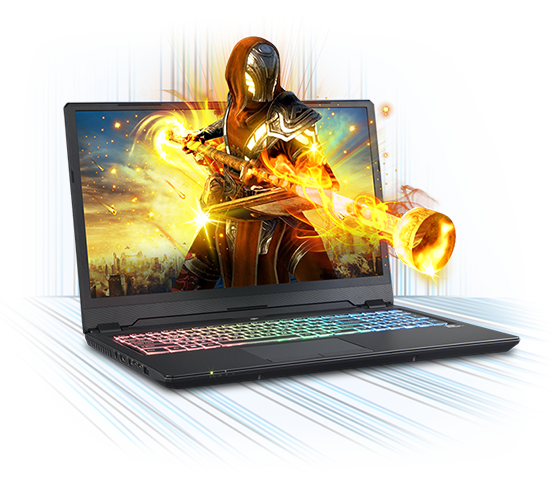 It is your responsibility to complete a backup of all existing data and programs on Sager Products prior to returning the Product to Sager for repair under this limited warranty. SAGER WILL HAVE NO LIABILITY FOR LOSS OR RECOVERY OF DATA OR PROGRAMS. BATTERIES, AC ADAPTERS AND EXTERNAL ACCESSORIES (SUCH AS EXTERNAL DISK DRIVES, CAR ADAPTERS ETC.) SHALL BE CLASSIFIED AS CONSUMABLE PARTS. THE WARRANTY PERIOD FOR BATTERIES AND AC ADAPTERS IS LIMITED TO ONE (1) YEAR FROM THE DATE OF ORIGINAL RETAIL PURCHASE. 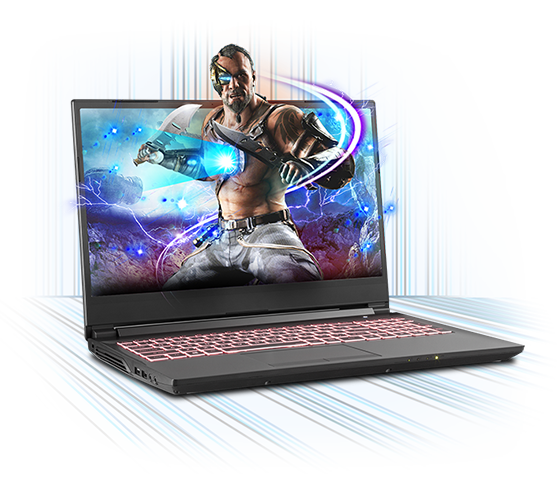 IN THE EVENT SAGER ELECTS TO REFUND THE VALUE OF THE PRODUCT OR REPLACE THE PRODUCT, THE TERM OF THIS WARRANTY SHALL EXPIRE AS OF THE TIME OF THAT REFUND OR REPLACEMENT. 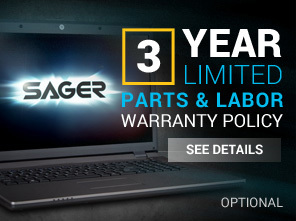 Please visit Sager's warranty page (warranty) to find out the date this warranty expires. 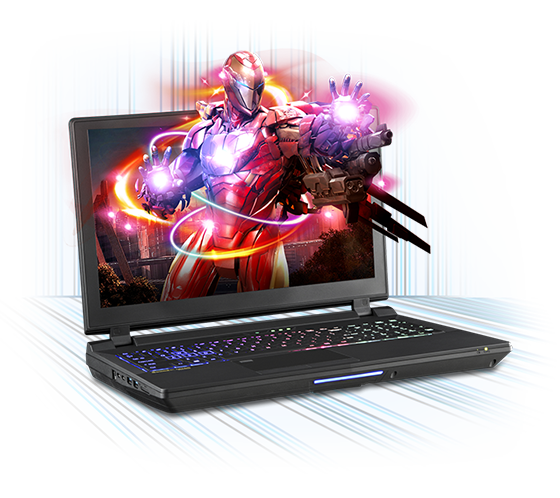 You will be prompted to enter the serial number located on the bottom of the Product. 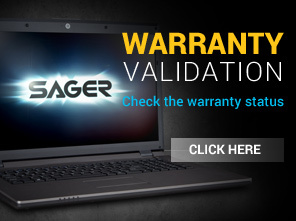 IF YOU DISCOVER ANY DISCREPANCY REGARDING THIS WARRANTY AND YOU PURCHASED THE PRODUCT DIRECTLY FROM SAGER, YOU MUST IMMEDIATELY NOTIFY SAGER OF THE DISCREPANCY. THIS WARRANTY MUST BE PURCHASED BY THE ORIGINAL PURCHASER WITHIN NINTY (90) DAYS OF THE PURCHASE DATE OF THE PRODUCT AND MAY NOT BE PURCHASED THEREAFTER. 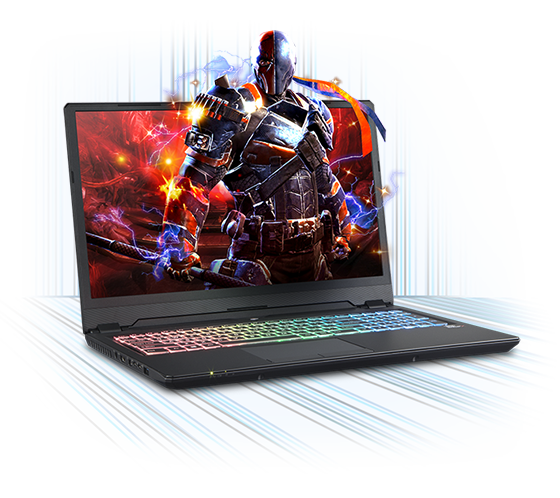 THIS LIMITED WARRANTY MAY ONLY BE CANCELLED BY THE ORIGINAL PURCHASER WITHIN THIRTY (30) DAYS OF THE PURCHASE OF THIS WARRANTY PROVIDED THAT NO CLAIMS HAVE BEEN MADE UNDER THIS WARRANTY AND THE WARRANTY WAS PURCHASED DIRECTLY FROM SAGER. A FULL REFUND OF THIS WARRANTY'S PURCHASE PRICE WILL BE GIVEN TO THE ORIGINAL PURCHASER. AFTER THIRTY (30) DAYS FROM THE PURCHASE DATE OR IF A CLAIM HAS BEEN MADE UNDER THE WARRANTY, THE WARRANTY MAY NOT BE CANCELLED. 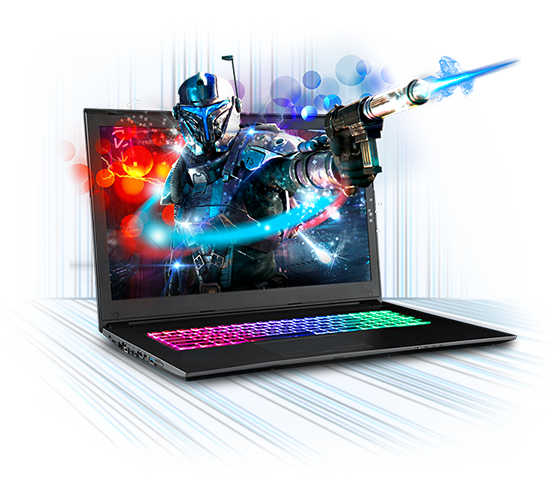 IF THE ORIGINAL PURCHASER PURCHASED THIS LIMITED WARRANTY FROM A SAGER AUTHORIZED RESELLER, SAGER WILL NOT REFUND THIS WARRANTY'S PURCHASE PRICE. ANY REFUND SHALL BE MADE BY THE AUTHORIZED RESELLER. THE ORIGINAL PURCHASER MUST CONTACT THE AUTHORIZED RESELLER WHERE HE/SHE PURCHASED THE PRODUCT ABOUT ITS CANCELLATION AND REFUND POLICIES. Note: These terms effective 11/01/2015. For products purchased prior to 11/01/2015 click here. SAGER WARRANTS this Sager hardware Product against defects in merchandise and workmanship for a period of THREE (3) YEARS from the Date of Original Retail Purchase. Note: Note: These terms effective 11/01/2015. For products purchased prior to 11/01/2015 click here. 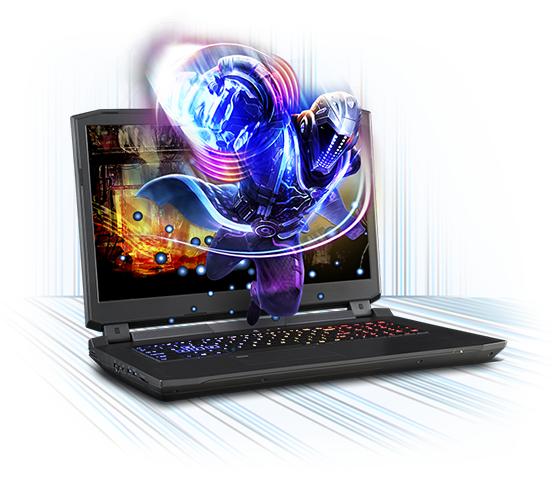 The warranty terms for NP6650, NP6680 series notebooks, and products purchased prior to 12/01/2006. SAGER WARRANTS this Sager hardware Product against defects in merchandise and workmanship for a period of ONE (1) YEAR from the Date of Original Retail Purchase. 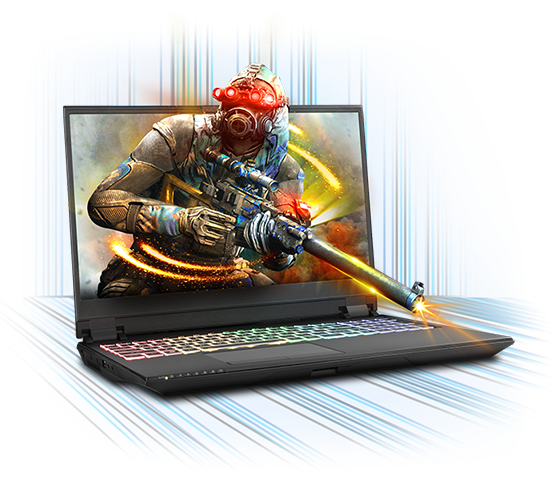 This warranty applies only to hardware Products manufactured by or for Sager that can be identified by the "Sager" trademark, trade name, or logo affixed to them. 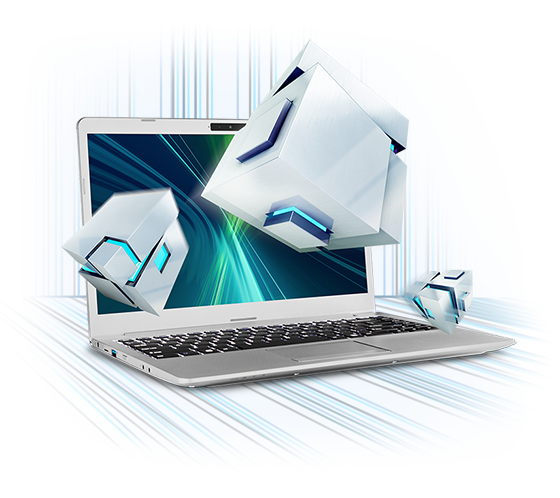 Sager provides no warranty whatsoever for any software provided with its Products; such software is warranted separately by their manufacturers. Sager does not warrant any products that are not Sager Products. 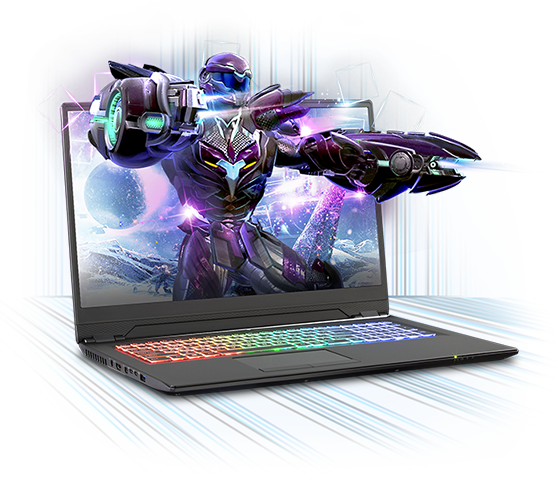 This warranty does not apply if the Product has been damaged by accident, abuse, misuse, or misapplication; if the Product has been modified without the written permission of Sager; or if any Sager serial number has been removed or defaced. 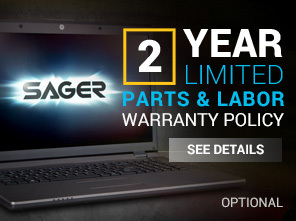 If you discover a defect, Sager will, at its option, repair, replace or refund the purchase price of this Product at no charge to you, provided you return it during the limited warranty period, with freight charges prepaid to the appropriate Sager repair department, and provided you obtain a Return Merchandise Authorization (RMA) number prior to shipping your defective Product. The RMA number must appear plainly on the outside of the shipping packaging. RMA numbers can be obtained by calling or writing Sager at the address and phone numbers printed on this certificate. For each Product returned for warranty service, please attach your name, address, telephone number, RMA number, and a copy of your bill of sale bearing the appropriate Sager serial numbers as proof of Date of Original Retail Purchase. 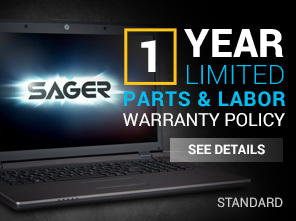 DURING THE ONE (1) YEAR limited warranty period, Sager will use due diligence to repair your defective Product and ship it to you within five working days after its arrival at our repair facility. 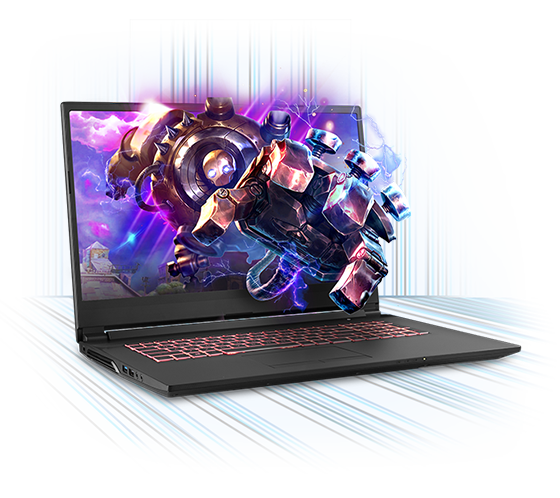 You will pay for shipping the Product to our repair facility and we will pay ground shipping to return the Product back to you. If we fail to repair your defective Product within five working days, we will use due diligence to repair your defective Product and return it to you by UPS Three Day at our cost. 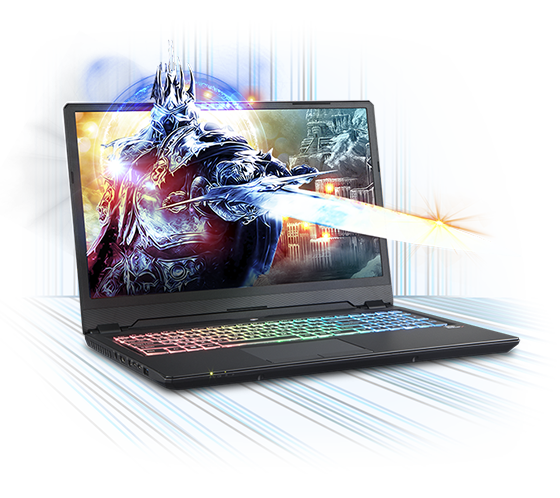 SAGER DOES NOT COUNT THE DAY THE PRODUCT ARRIVES AT OUR REPAIR FACILITY OR THE DAY THE PRODUCT IS SHIPPED BACK TO YOU FROM OUR REPAIR FACILITY AS "WORKING DAYS" FOR THIS "FIVE WORKING DAY DUE DILIGENCE PREMIUM REPAIR". "FIVE WORKING DAY DUE DILIGENCE REPAIR" APPLIES TO END USERS IN THE CONTINENTAL UNITED STATES OF AMERICA ONLY (EXCLUDING PUERTO RICO, ALASKA, HAWAII, AND U.S. POSSESSIONS AND TERRITORIES). OTHERWISE, YOU ARE RESPONSIBLE FOR SHIPPING THE PRODUCT TO OUR REPAIR FACILITY AND WE WILL SHIP THE PRODUCT BACK TO YOU FREIGHT COLLECT. THE WARRANTY AND REMEDIES SET FORTH ABOVE ARE EXCLUSIVE AND IN LIEU OF ALL OTHERS, WHETHER ORAL OR WRITTEN, EXPRESS OR IMPLIED. SAGER SPECIFICALLY DISCLAIMS ANY AND ALL IMPLIED WARRANTIES, INCLUDING, WITHOUT LIMITATION, WARRANTIES OF MERCHANTABILITY AND FITNESS FOR A PARTICULAR PURPOSE. NO SAGER DEALER, AGENT, OR EMPLOYEE IS AUTHORIZED TO MAKE ANY MODIFICATION, EXTENSION, OR ADDITION TO THIS WARRANTY. SAGER IS NOT RESPONSIBLE FOR SPECIAL, INCIDENTAL, OR CONSEQUENTIAL DAMAGES RESULTING FROM ANY BREACH OF WARRANTY, OR UNDER ANY OTHER LEGAL THEORY, INCLUDING BUT NOT LIMITED TO LOST PROFITS, DOWNTIME, GOODWILL, DAMAGE TO OR REPLACEMENT OF EQUIPMENT AND PROPERTY, AND ANY COSTS OF RECOVERING, REPROGRAMMING, OR REPRODUCING ANY PROGRAM OR DATA STORED IN OR USED WITH SAGER PRODUCTS. THE WARRANTY TERMS FOR PRODUCTS PURCHASED PRIOR TO 11/01/2015. If you discover a defect, Sager will, at its option and to the extent permitted by law: (1) repair the Product (using new or refurbished replacement parts); (2) replace the Product with a product that is new or which has been manufactured from new or serviceable used parts and is at least functionally equivalent to the original product; or (3) refund the purchase price of this Product at no charge to you?”provided you return it during the limited warranty period, with freight charges prepaid to the appropriate Sager repair department, and provided you obtain a Return Merchandise Authorization (RMA) number prior to shipping your defective Product. The RMA number must appear plainly on the outside of the shipping packaging. RMA numbers can be obtained by calling or writing Sager at the address and phone numbers printed on this certificate. For each Product returned for warranty service, please attach your name, address, telephone number, RMA number, and a copy of your bill of sale bearing the appropriate Sager serial numbers as proof of Date of Original Retail Purchase. Sager will pay for UPS three-day shipping (or ground shipping for addresses near Los Angeles, California) both ways for returned products. THIS APPLIES TO END USERS IN THE CONTINENTAL UNITED STATES OF AMERICA ONLY (EXCLUDING PUERTO RICO, ALASKA, HAWAII, AND U.S. POSSESSIONS AND TERRITORIES). OTHERWISE, YOU ARE RESPONSIBLE FOR SHIPPING THE PRODUCT TO OUR REPAIR FACILITY AND WE WILL SHIP THE PRODUCT BACK TO YOU FREIGHT COLLECT. SAGER IS ONLY ABLE TO PROVIDE RETURN SHIPPING TO THE END USER FOR THOSE END USERS WITH AN FPO/APO ADDRESS. If you discover a defect, Sager will, at its option and to the extent permitted by law: (1) repair the Product (using new or refurbished replacement parts); (2) replace the Product with a product that is new or which has been manufactured from new or serviceable used parts and is at least functionally equivalent to the original product; or (3) refund the purchase price of this Product at no charge to you?”provided you return it during the limited warranty period and obtain a Return Merchandise Authorization (RMA) number prior to shipping your defective Product. The RMA number must appear plainly on the outside of the shipping packaging. RMA numbers can be obtained by calling or writing Sager at the address and phone numbers printed on this certificate. For each Product returned for warranty service, please attach your name, address, telephone number, RMA number, and a copy of your bill of sale bearing the appropriate Sager serial numbers as proof of Date of Original Retail Purchase. Sager will pay for UPS three-day shipping both ways for returned products. THIS APPLIES TO END USERS IN THE CONTINENTAL UNITED STATES OF AMERICA ONLY (EXCLUDING PUERTO RICO, ALASKA, HAWAII, AND U.S. POSSESSIONS AND TERRITORIES). OTHERWISE, YOU ARE RESPONSIBLE FOR SHIPPING THE PRODUCT TO OUR REPAIR FACILITY AND WE WILL SHIP THE PRODUCT BACK TO YOU FREIGHT COLLECT. SAGER IS ONLY ABLE TO PROVIDE RETURN SHIPPING TO THE END USER FOR THOSE END USERS WITH AN FPO/APO ADDRESS.